Created by nature and transformed by man and machine, custom log and timber homes and accents are the ultimate expression of rustic design. Like you, we love the great outdoors and are inspired by it with every beautiful passing season. We have a passion for working with log and timber in its natural form and transforming it into something special for your home or business. Log N Iron is a family owned and operated company located in Kingston, Michigan. Our sense of family and nature is what drives our craft. If you would like to learn more about how Log N Iron can design, source, and mill custom log and timber projects for your home or business, explore our website or contact us so we can bring your vision to life! Get the look of a full log home at a reduced cost with our unique full log corner system. 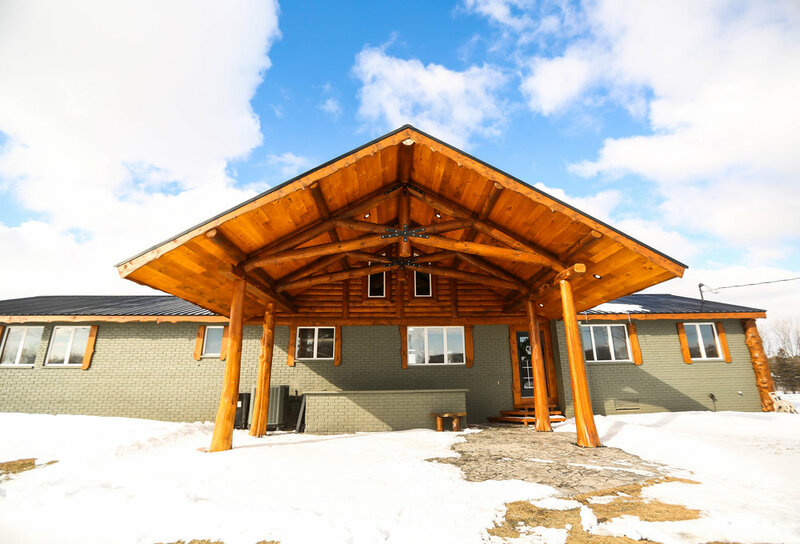 Use 1/2 or 1/4 log siding with our custom full log corner system to get the full log home look without the cost of full log walls. 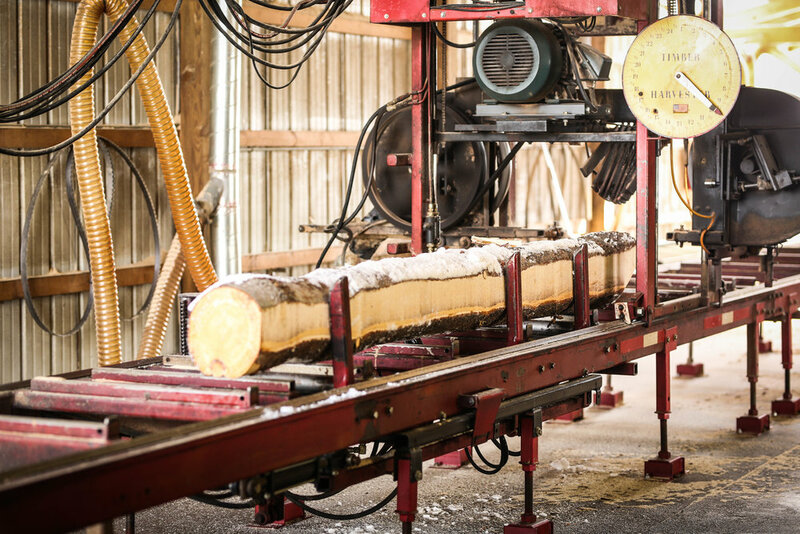 We have the ability to source & mill a large variety of species, profiles, and styles of log and timber. From small home accents to large staircases, trusses, and wall systems, Log N Iron can create the rustic or refined vision you've been dreaming of.